Peter Ross has been a permanent member of staff for 25 years. A member of the project management team, he is responsible for planning and managing our current long-term U.K. Department for International Development-funded programmes in Malawi, Nigeria, and Zimbabwe. 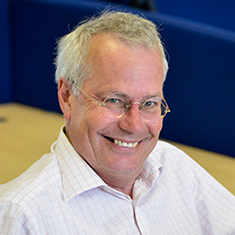 Peter has 35 years of experience of planning, managing, monitoring, and evaluating rural development programmes in Europe, Central and South Asia, the Horn of Africa, and West and Southern Africa. These projects have included work in agricultural extension, small-scale irrigation development, governance, and institutional change. Gregg Ravenscroft is a Principal Project Manager with more than 12 years of experience negotiating the diverse challenges that come with successfully designing and implementing international, aid-funded, development projects in fragile states.